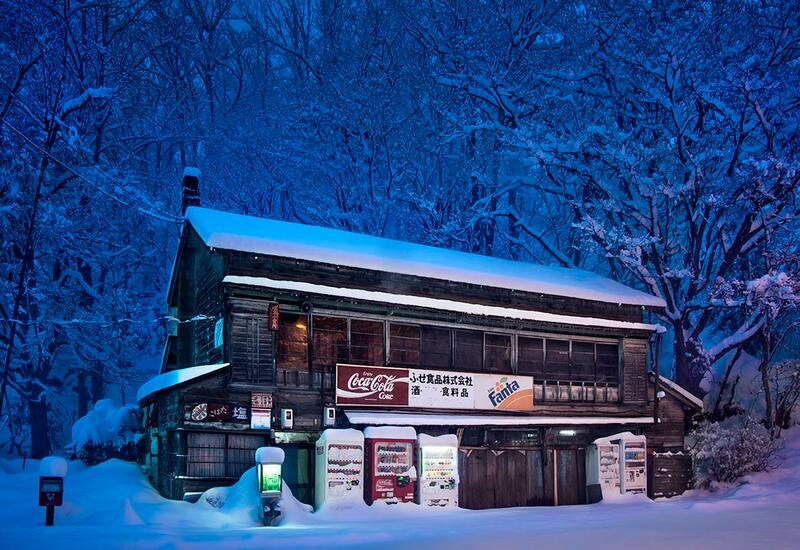 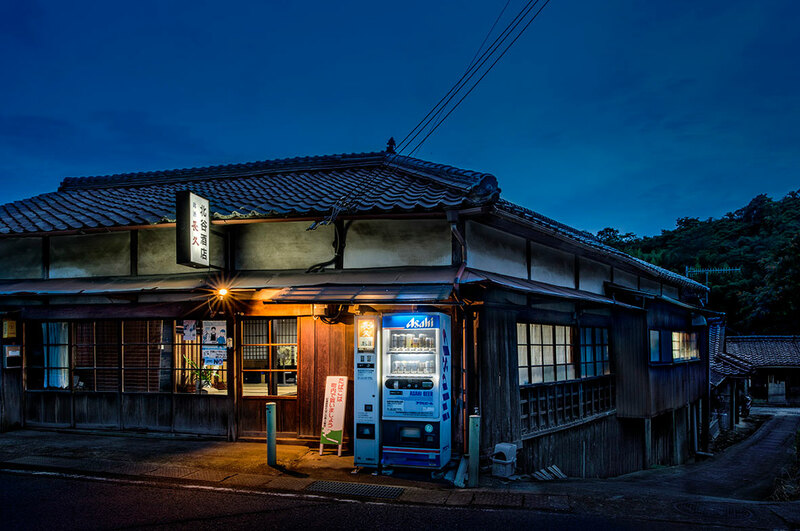 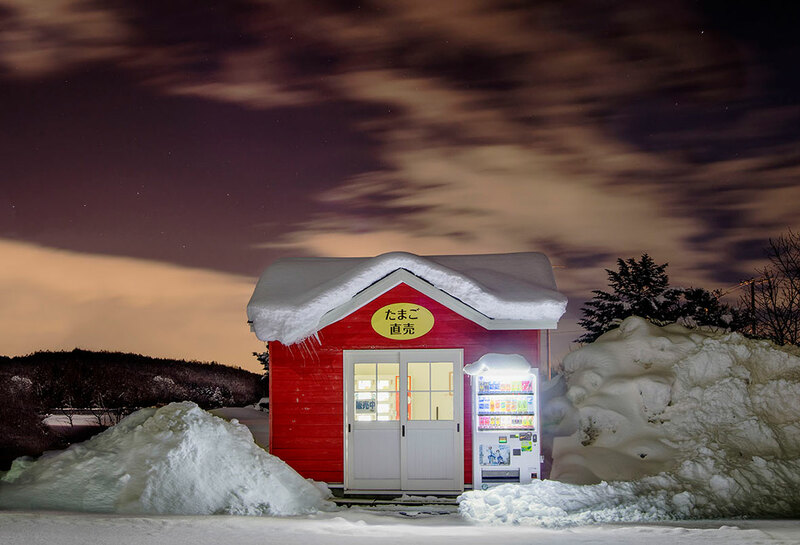 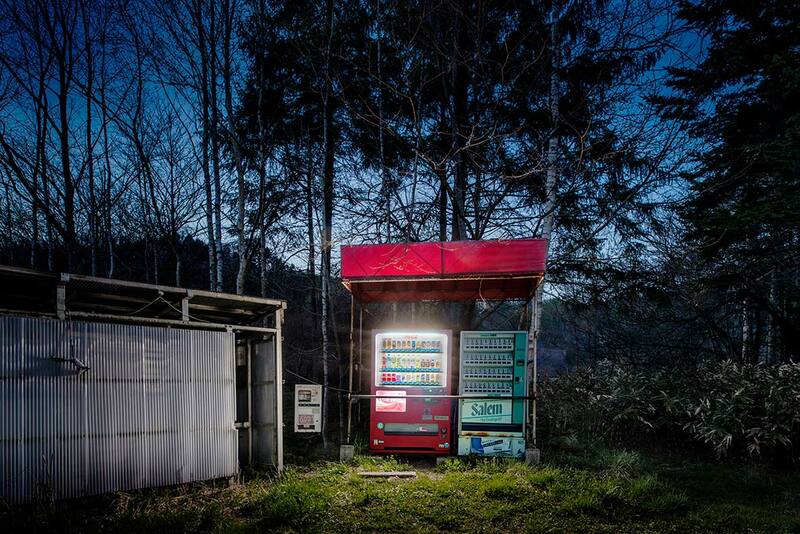 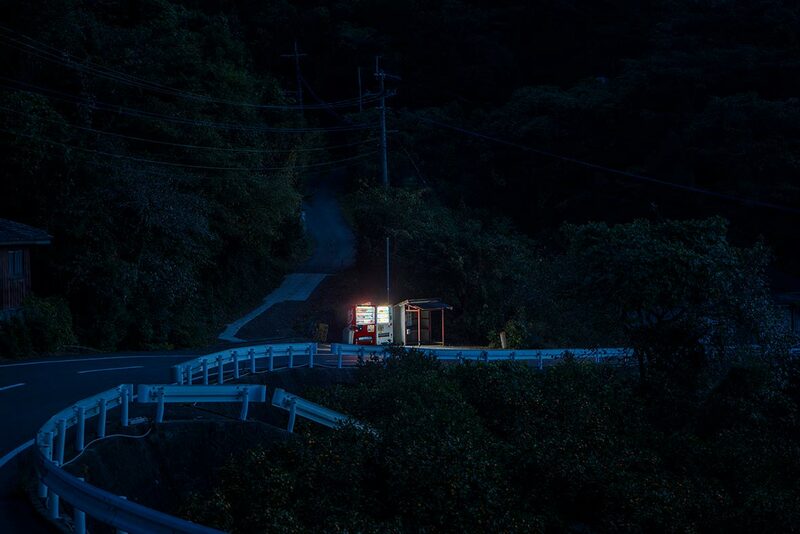 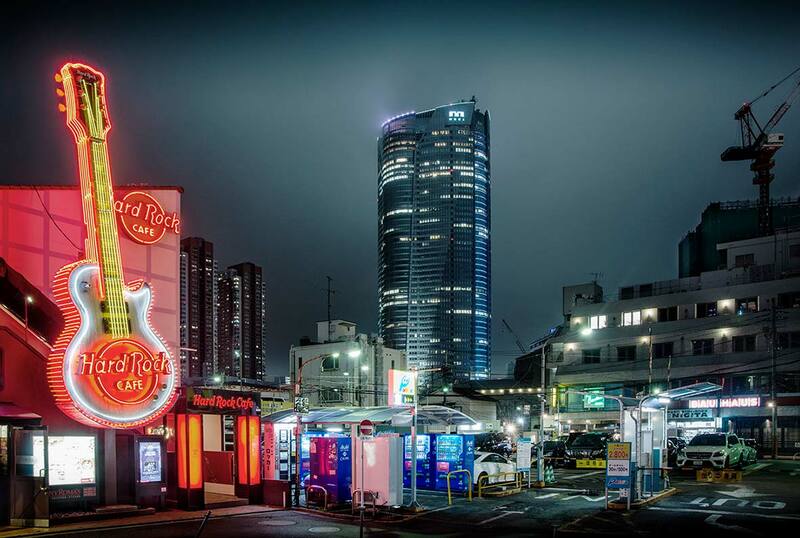 Roadside Lights is a charming series from Japanese photographer Eiji Ohashi that captures vending machines in their natural surroundings. 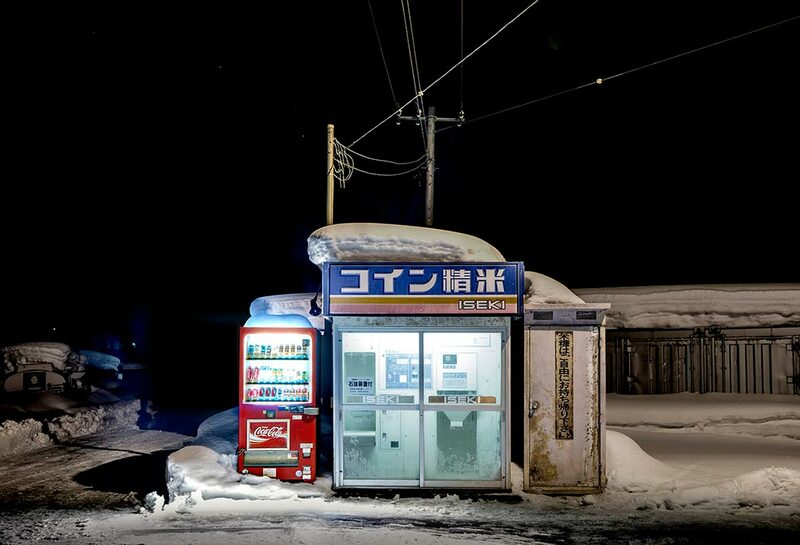 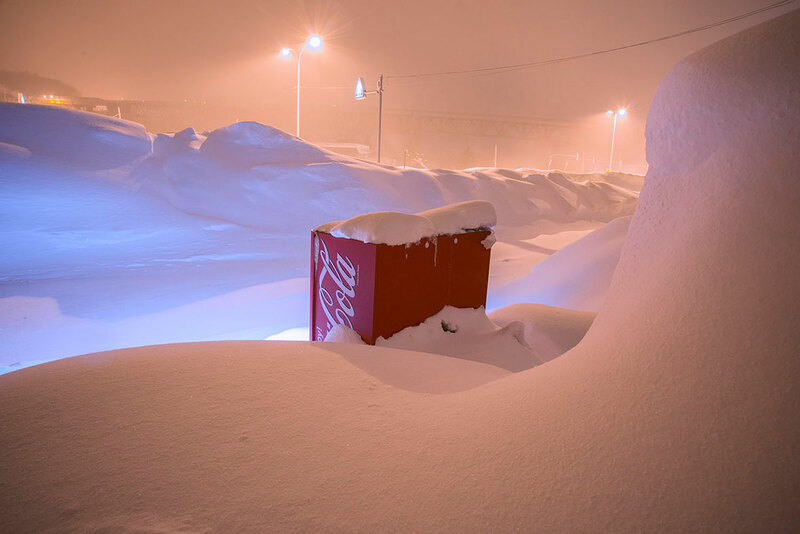 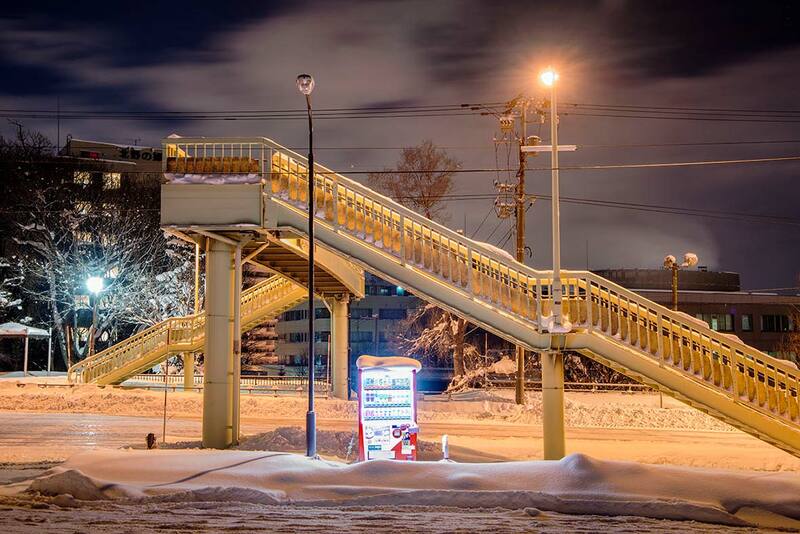 A native of the northernmost Japanese city of Wakkanai in Hokkaido prefecture, Ohashi was initially inspired to create the series during a tumultuous winter in his hometown. 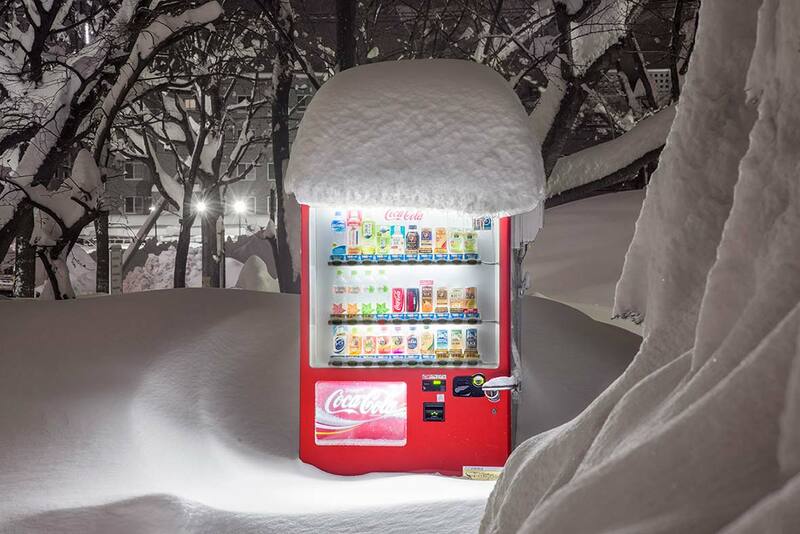 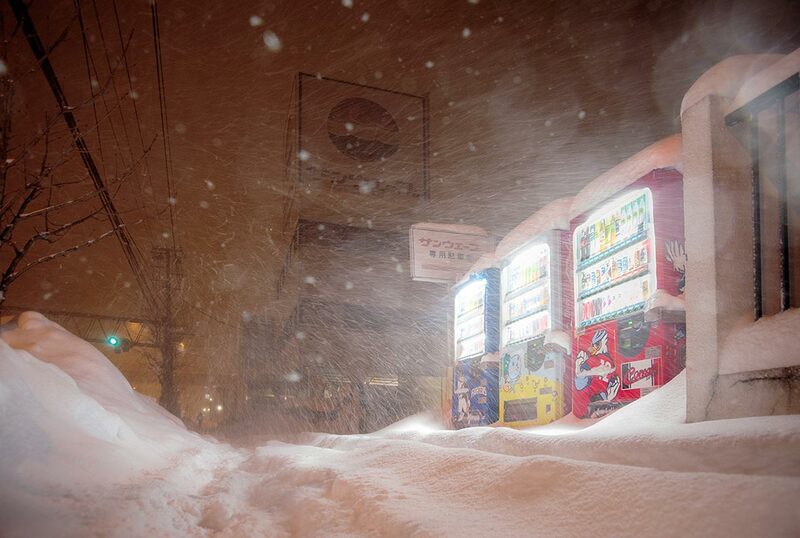 In the midst of a particularly heavy snowstorm, Ohashi became lost on the road, and could only find his way home by navigating the glow of vending machines that stood as the only familiar landmarks on the snow-covered streets. 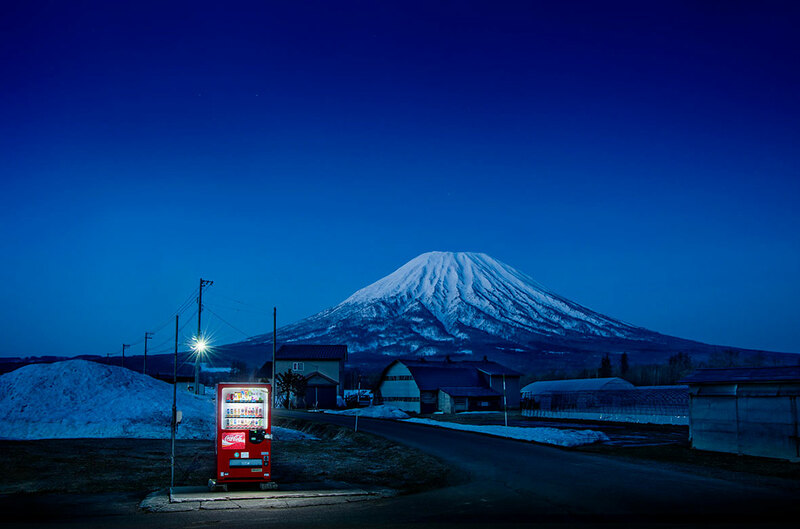 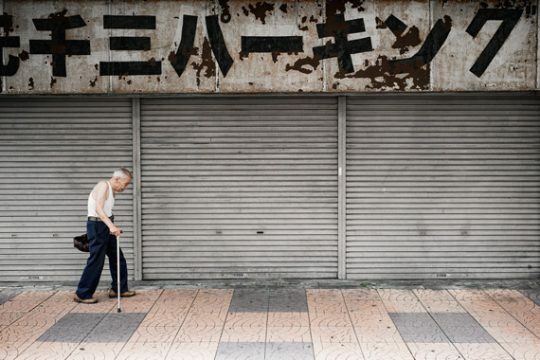 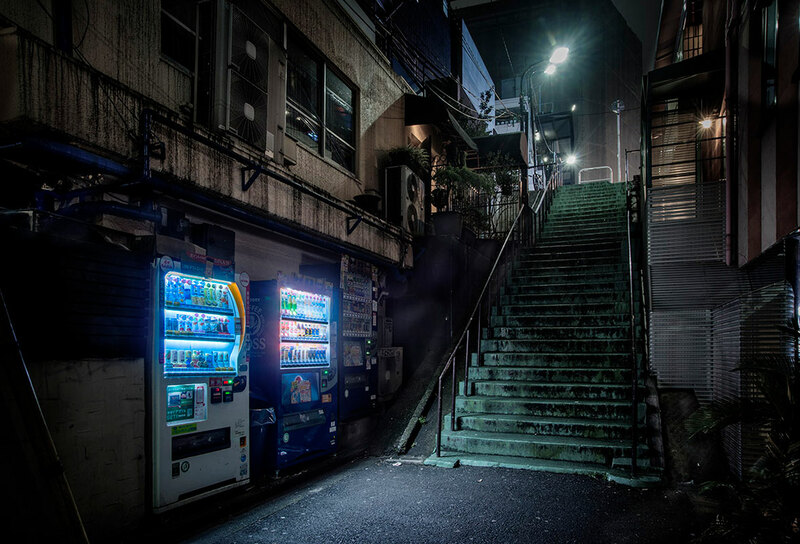 After that fateful event, Ohashi spent the next nine years photographing vending machines in various locations across Japan. 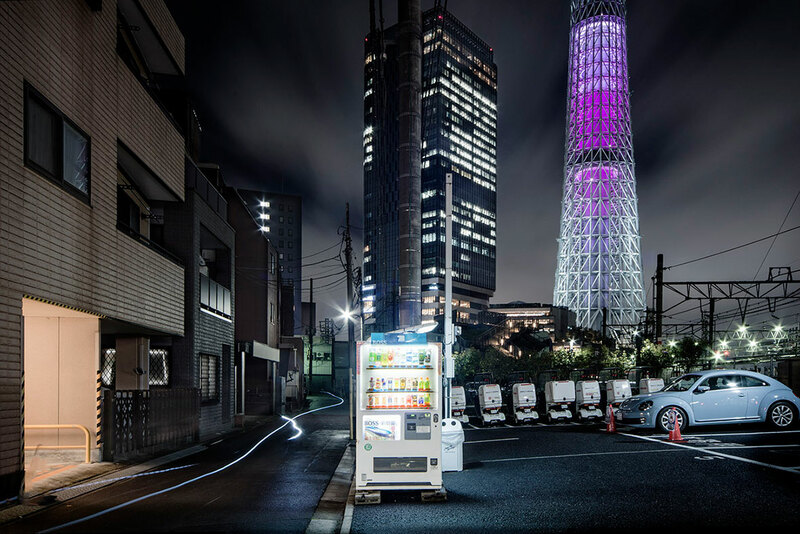 Ohashi’s subjects glow with life in his photographs, with each vending machine seeming to exude a distinct personality of its own. 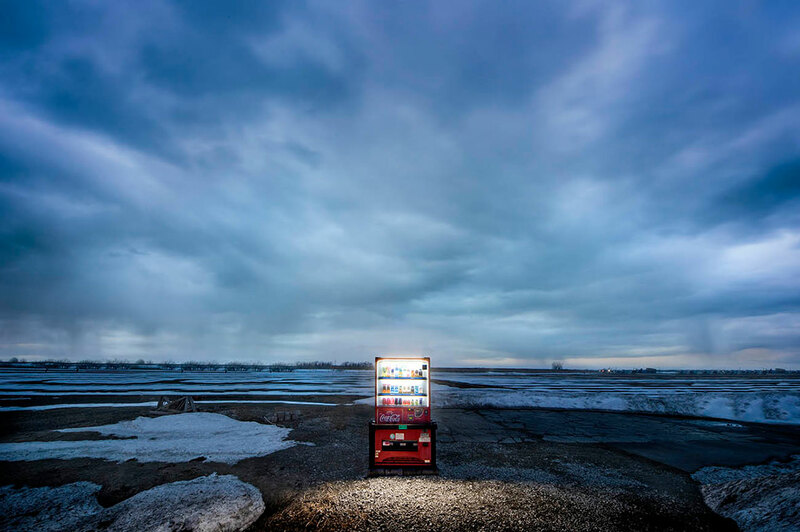 For Ohashi, the vending machine serves as a metaphor to further examine the human condition. 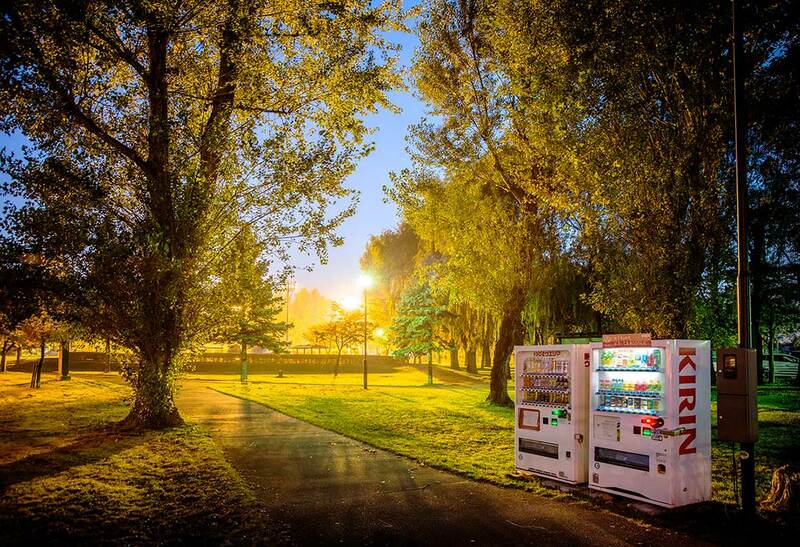 Ubiquitous in every corner of urban and rural Japan, these machines reflect human themes such as loneliness and alienation, corporate efficiency, and workforce automation – all relevant to life in modern Japanese society. 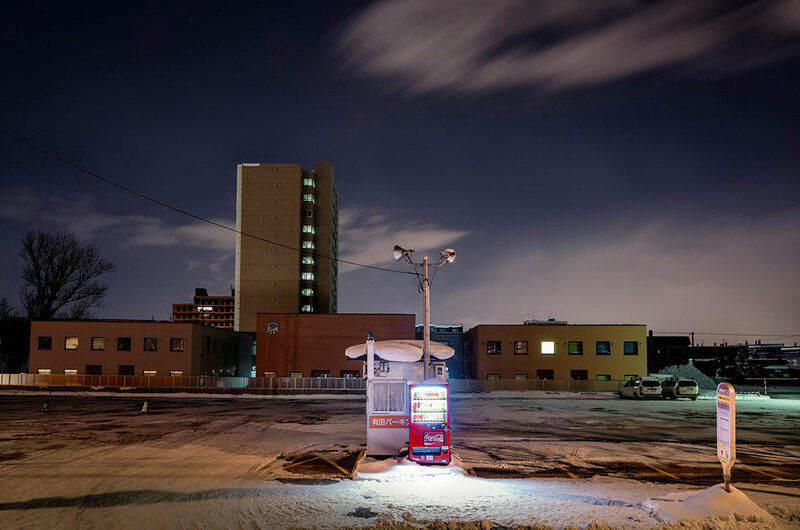 Roadside Lights has been featured in solo exhibitions across Japan and has also been compiled into a book of the same name, available for purchase here.